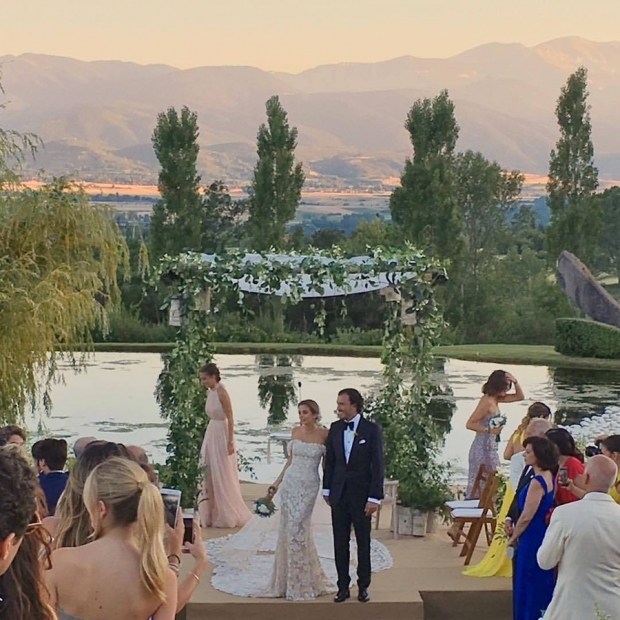 The eldest daughter of the president of the Spanish brand Pronovias Alberto Palatchi, Gabriela Palatchi married a Turkish businessman Ediz Elhadef. When one of the most famous houses of wedding dresses is headed by your father, you do not have to worry about your wedding ceremony. It proved eldest daughter of Pronovias President Alberto Palatchi, Gabriela (Gabriela Palatchi). 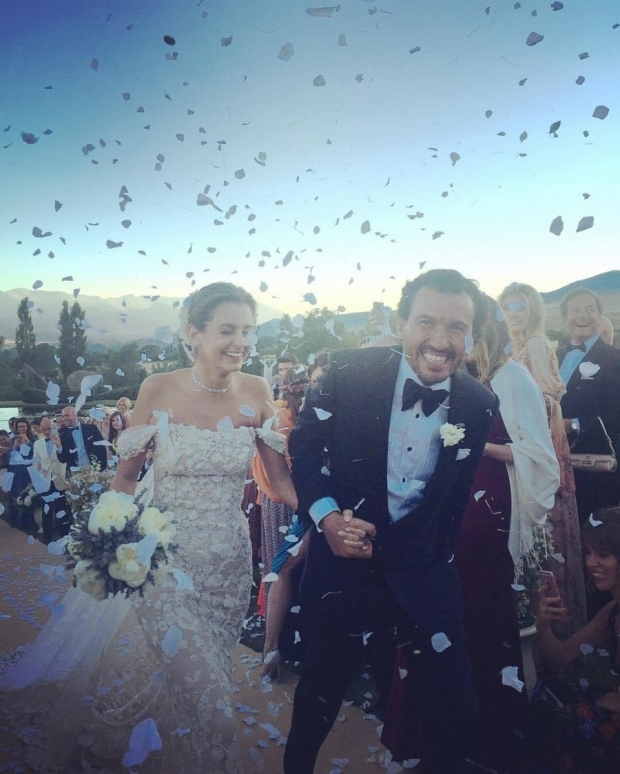 Recently heir to wedding business became the wife of a businessman from Turkey Ediz Elhadef. 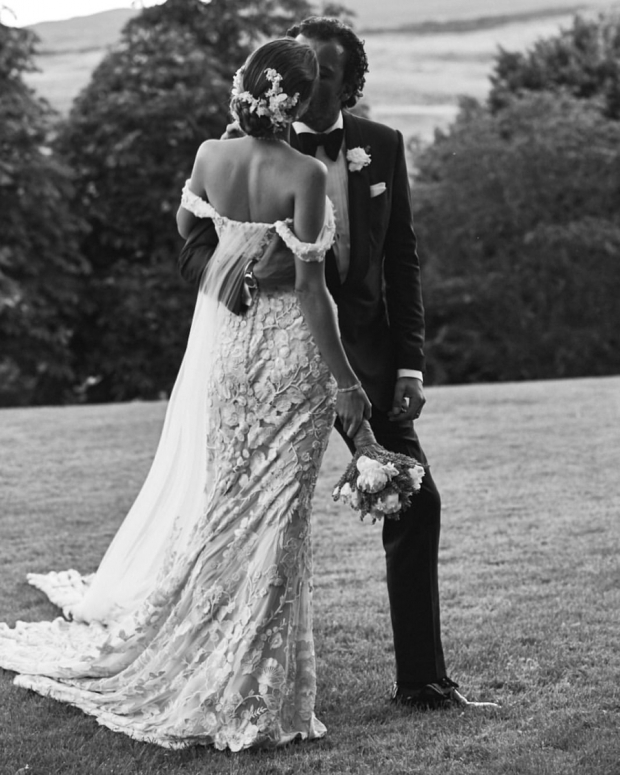 Design of wedding dress was created by Pronovias director Hervé Moreau. Wedding dress made of silk, tulle and chiffon shades of ecru and gray-white color was inspired by the theme of magic wood and decorated with images of dragonflies, butterflies, birds and bees in the Japanese style. This dress, that have taken 400 hours, is really looked gorgeous. The couple made their marriage vows to each other at the altar built in the garden of family estates Palatchi in Girona, Spain. The celebration was attended by 400 guests. 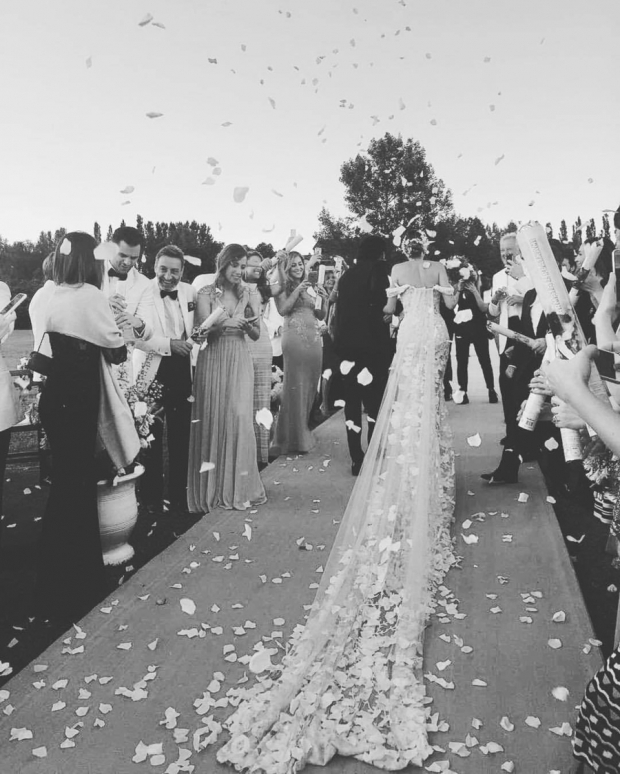 The celebration ended with a dinner at which the bride appeared in dress with open back and long sleeves.